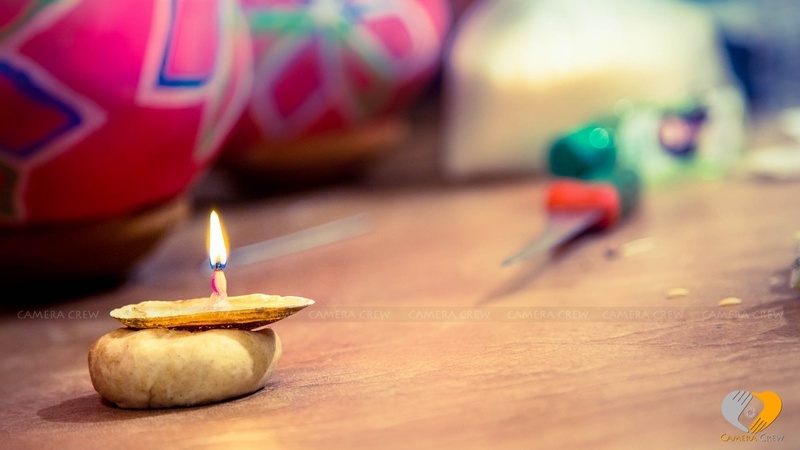 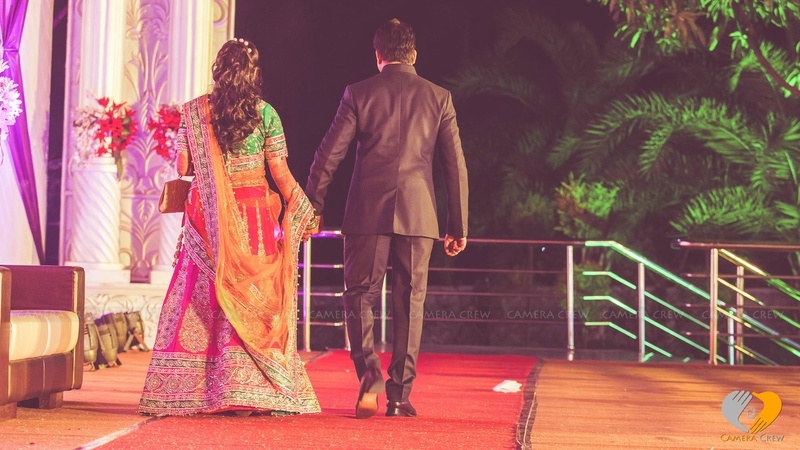 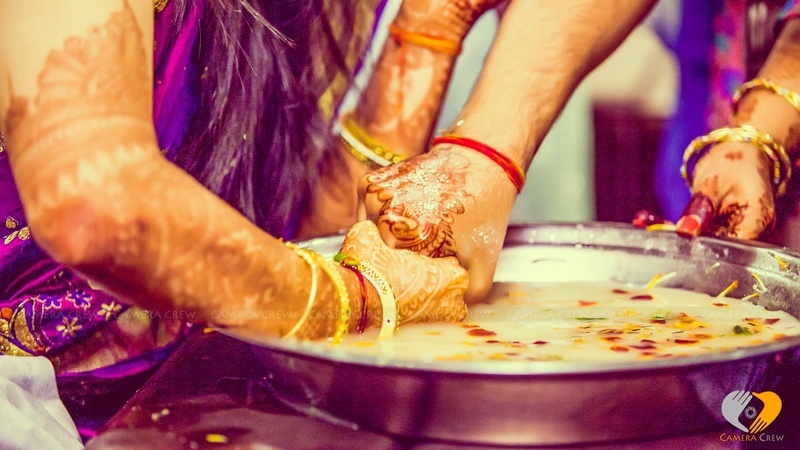 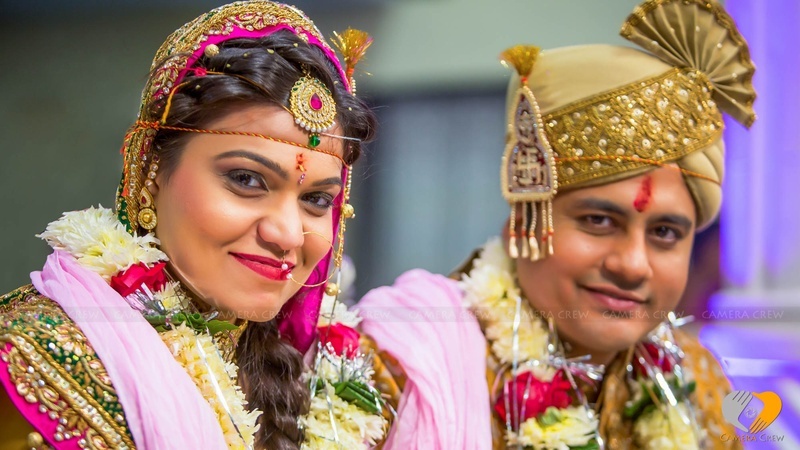 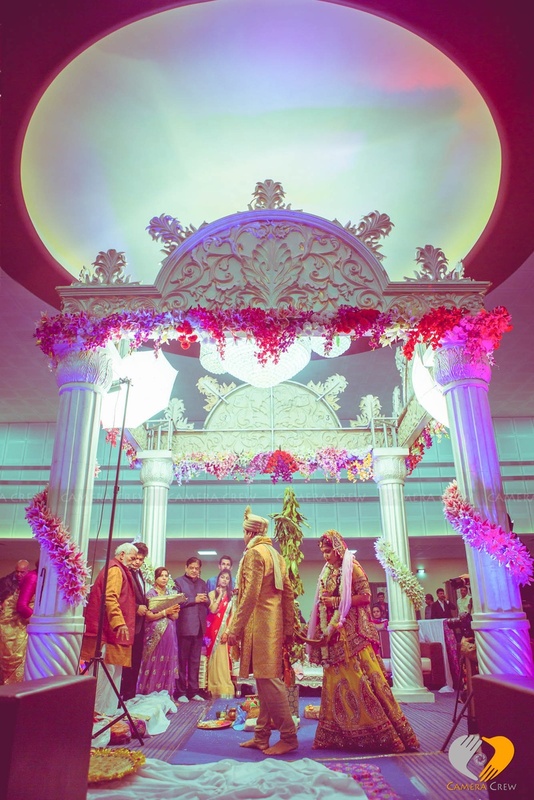 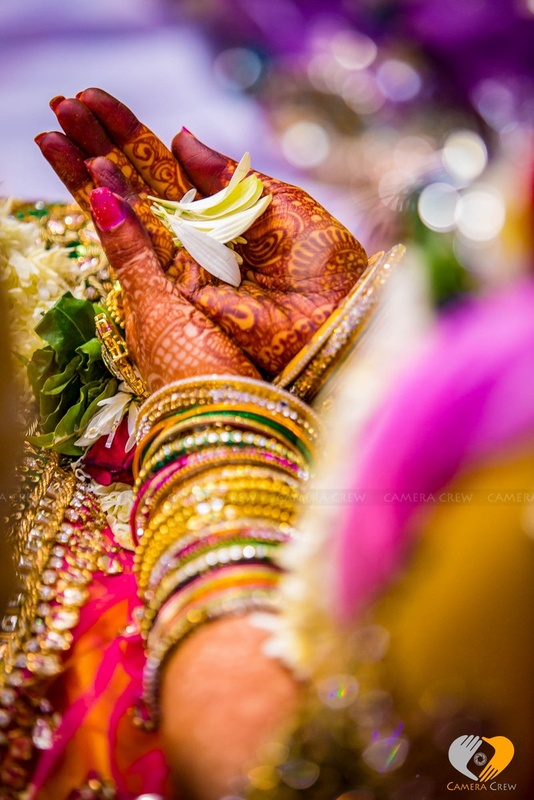 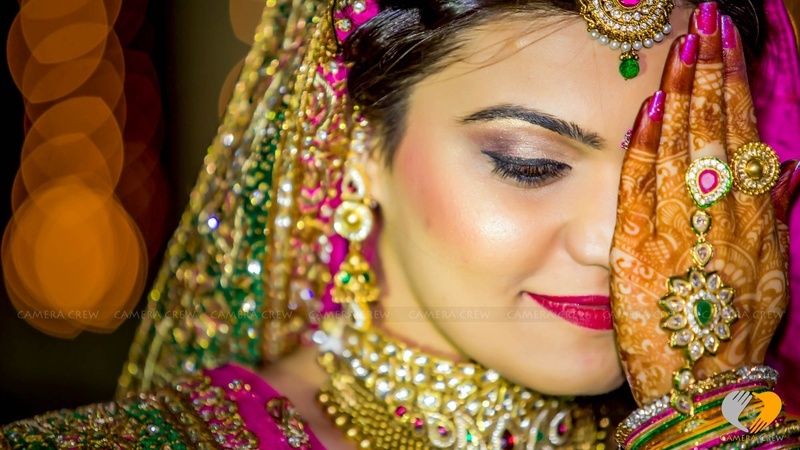 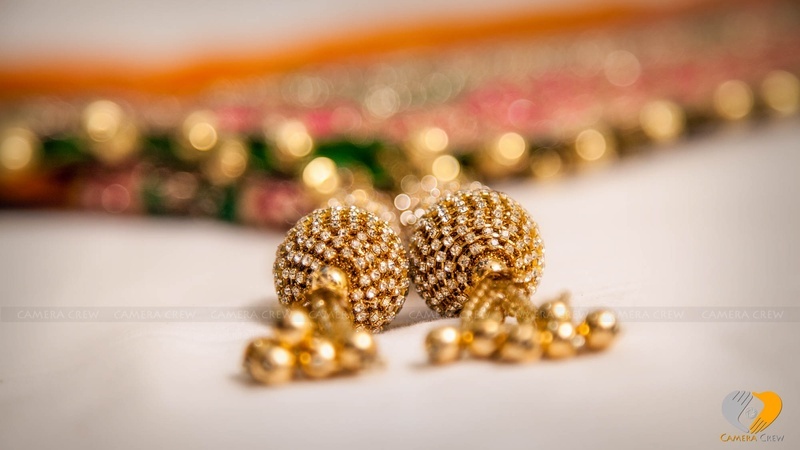 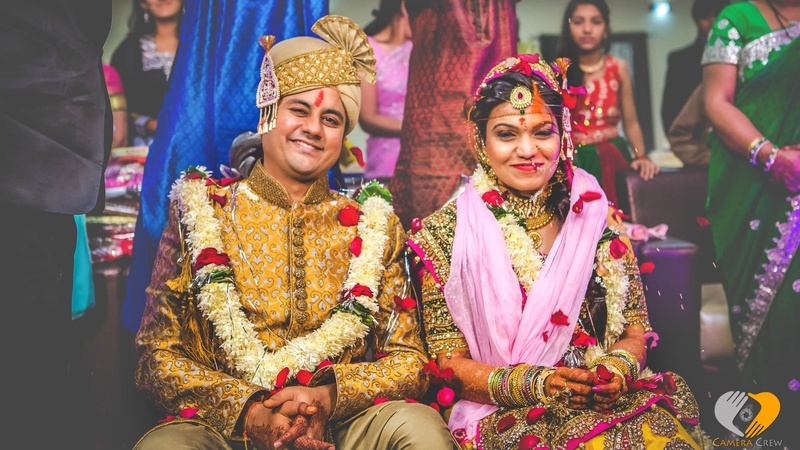 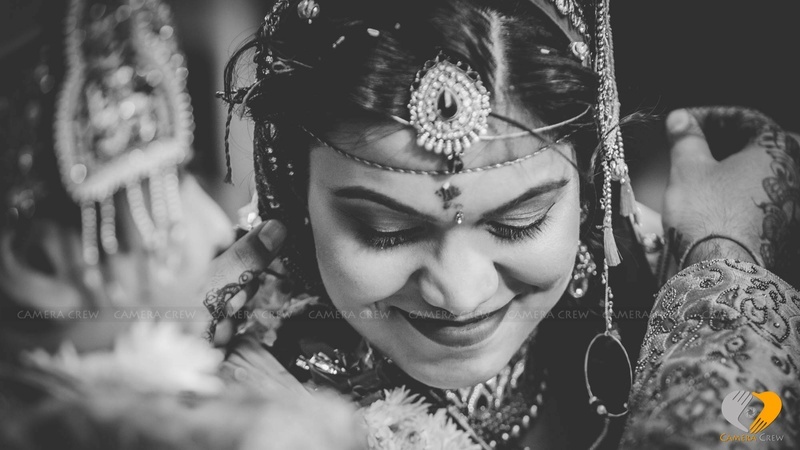 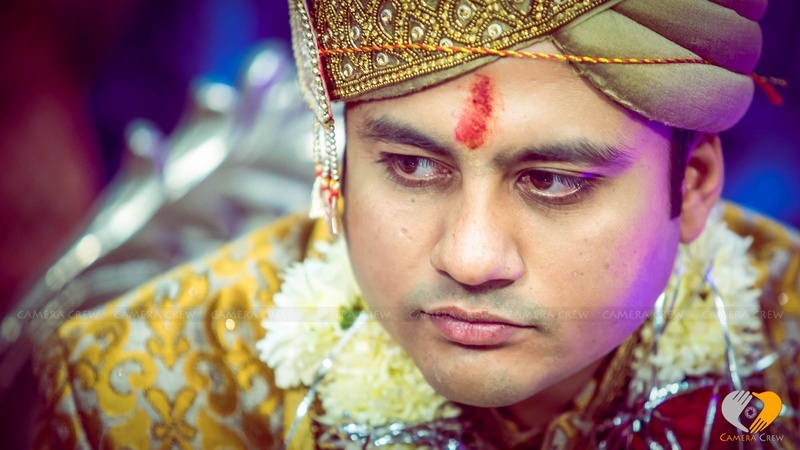 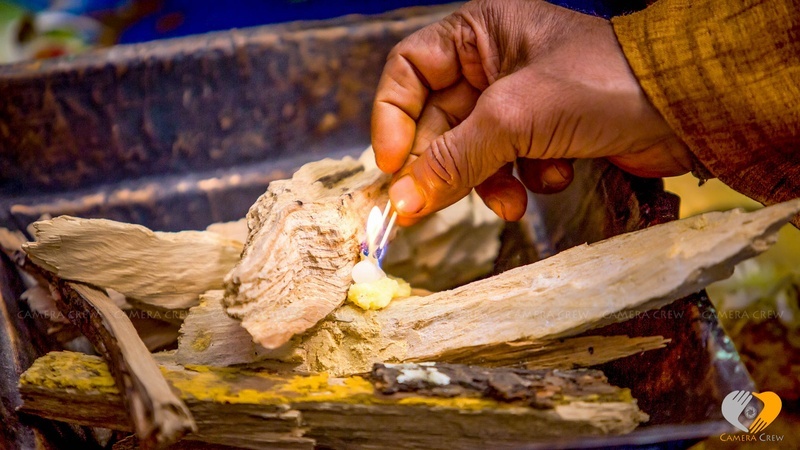 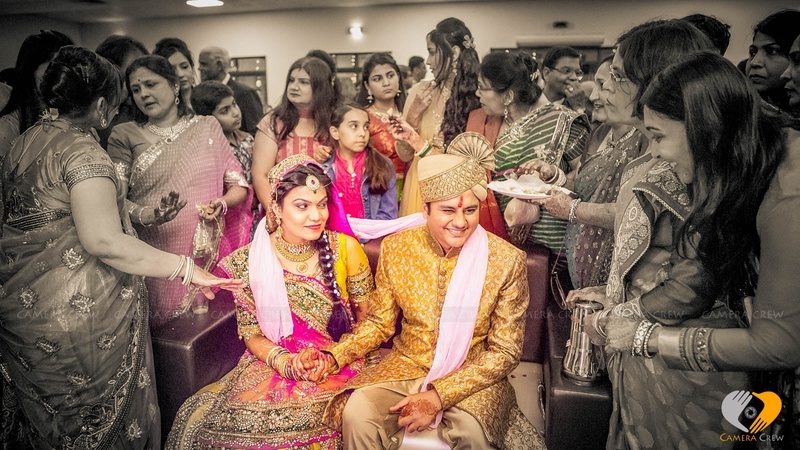 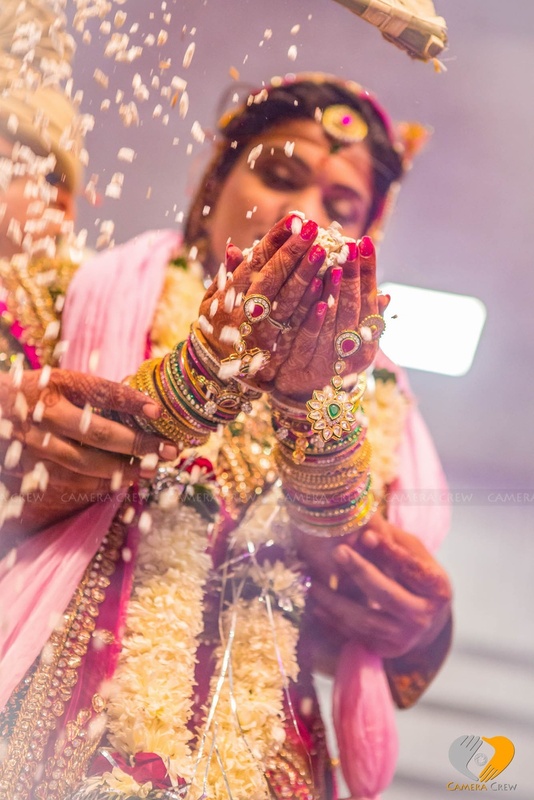 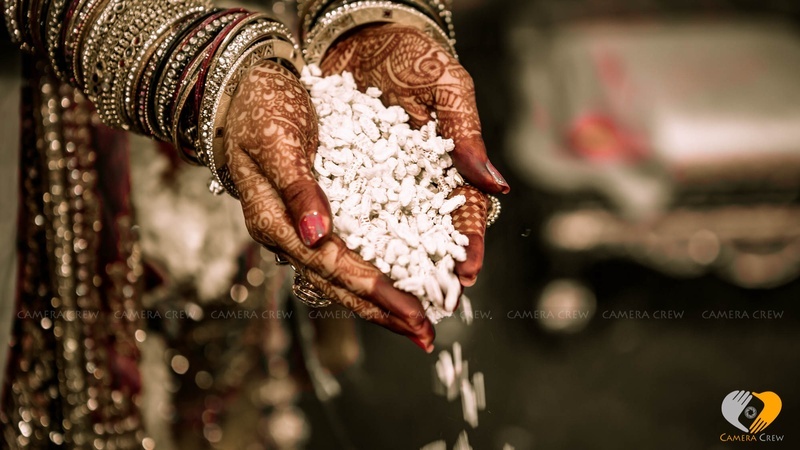 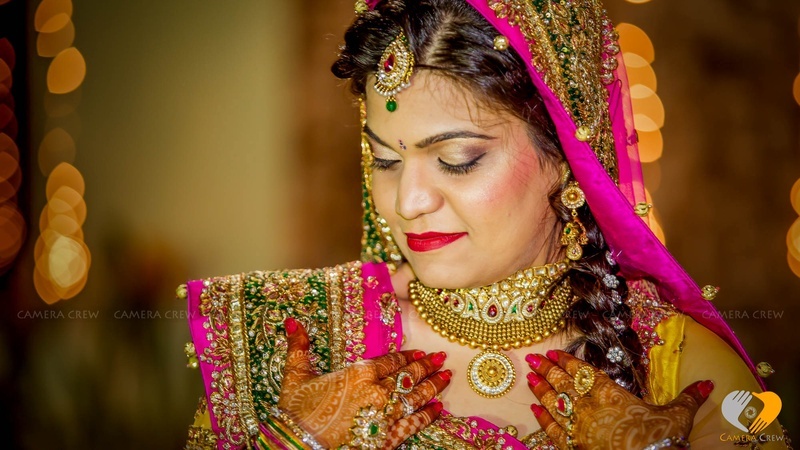 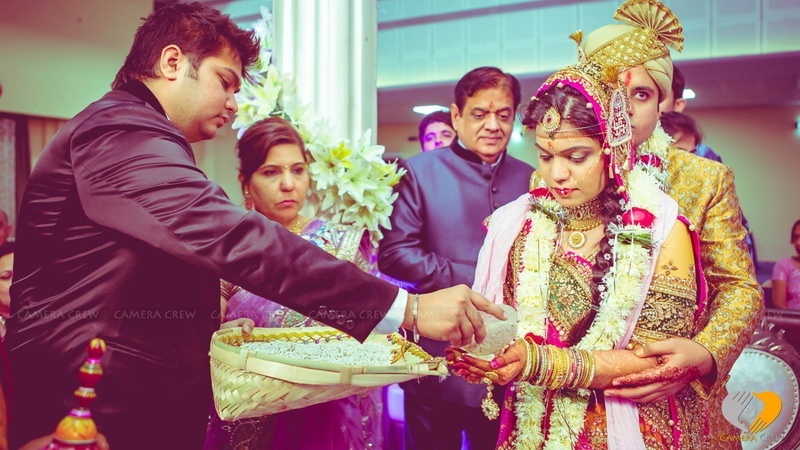 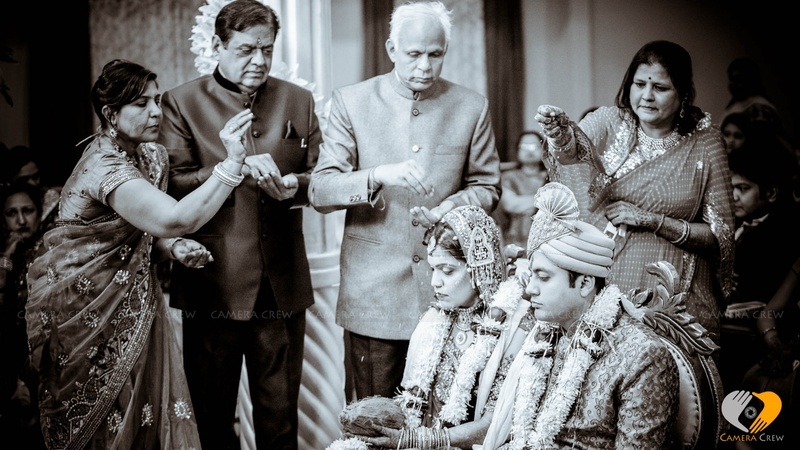 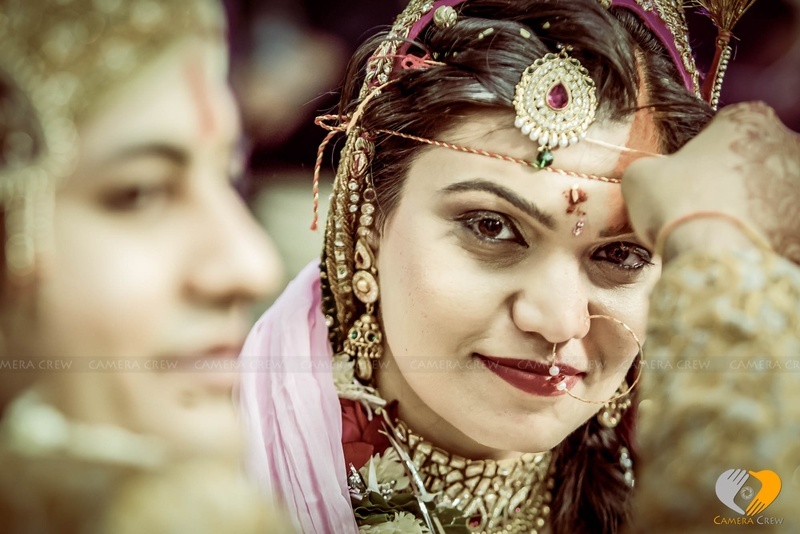 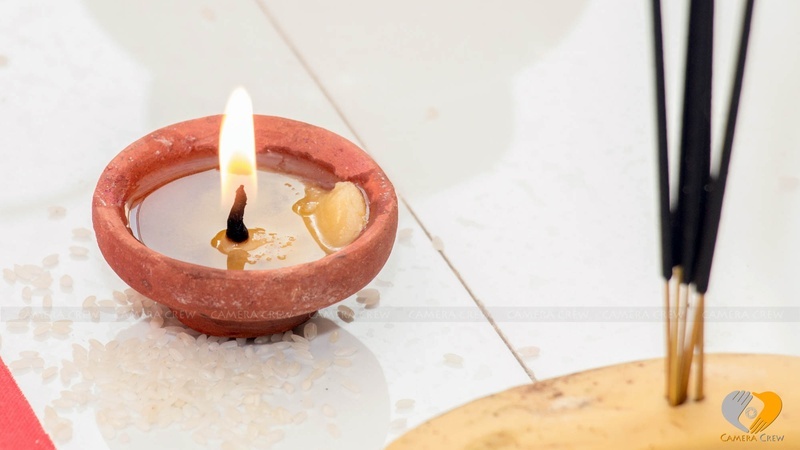 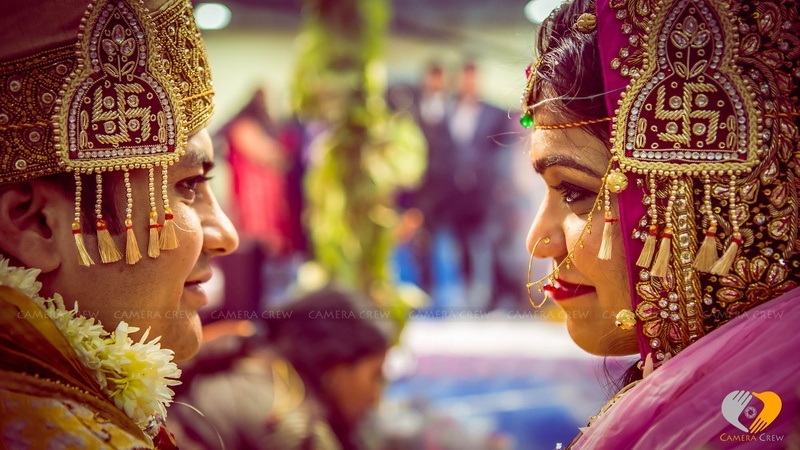 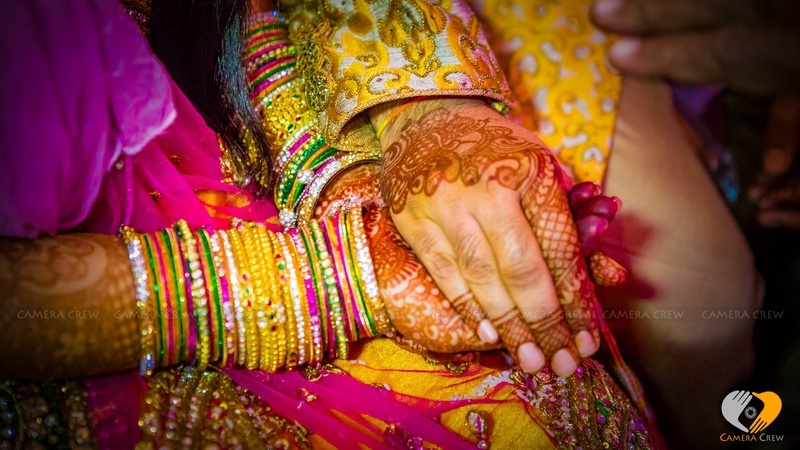 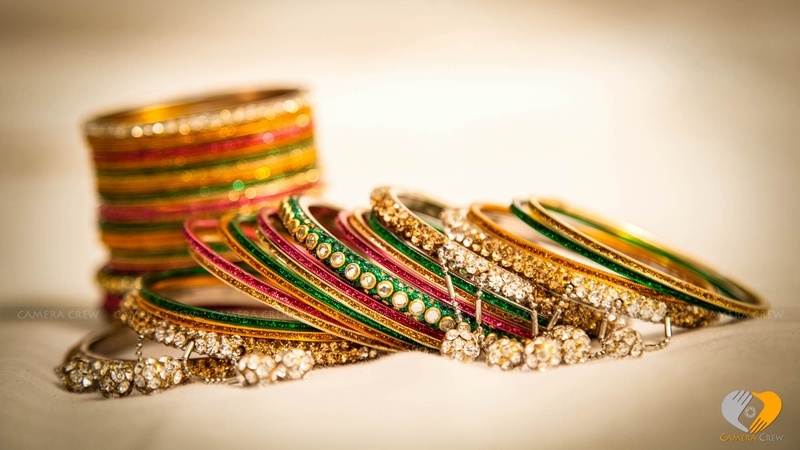 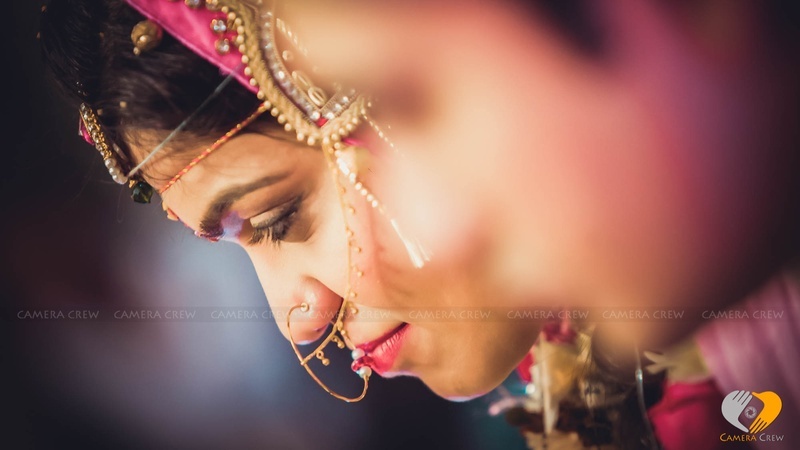 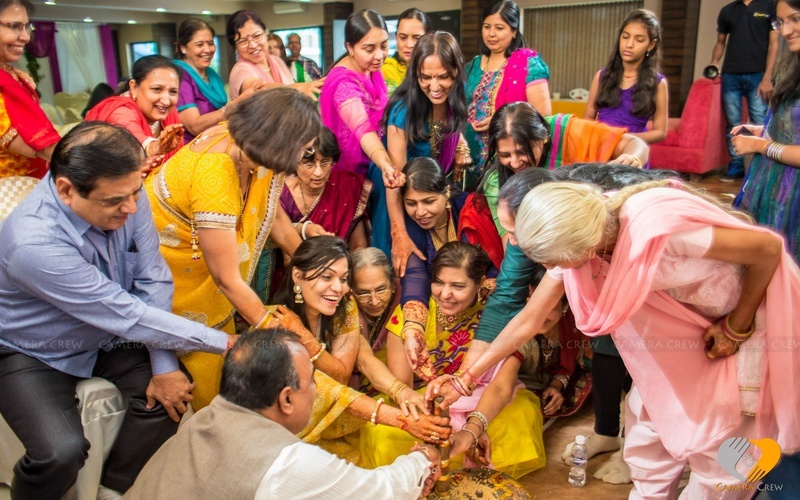 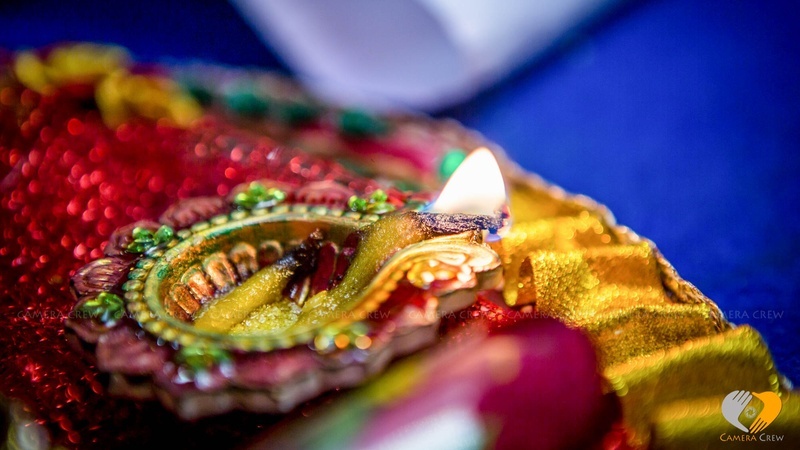 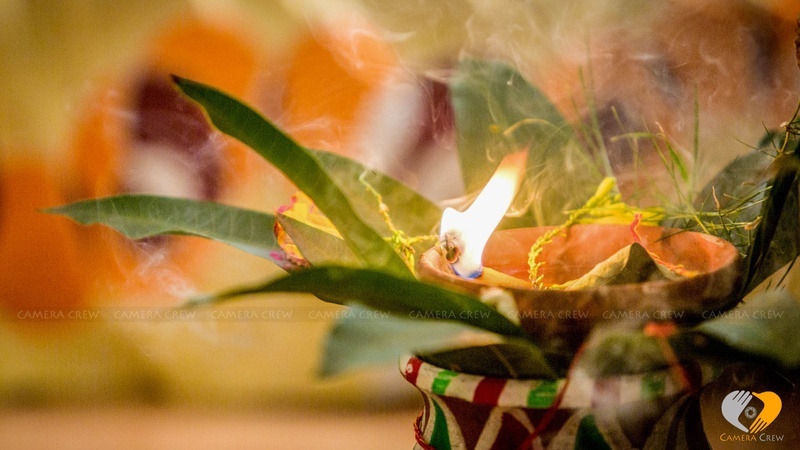 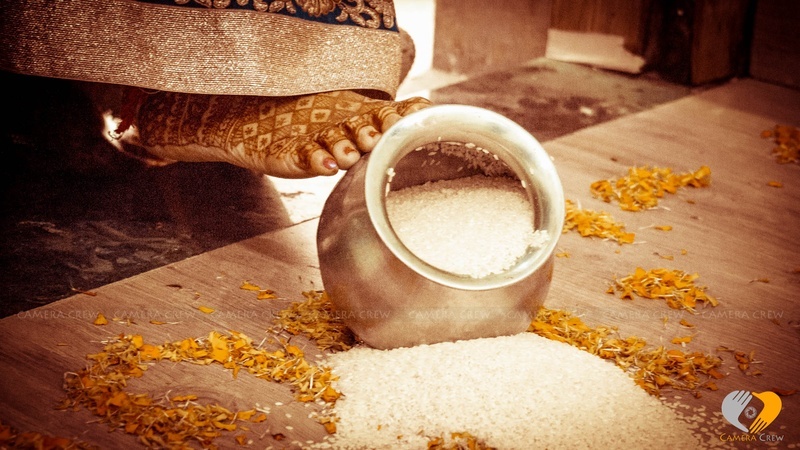 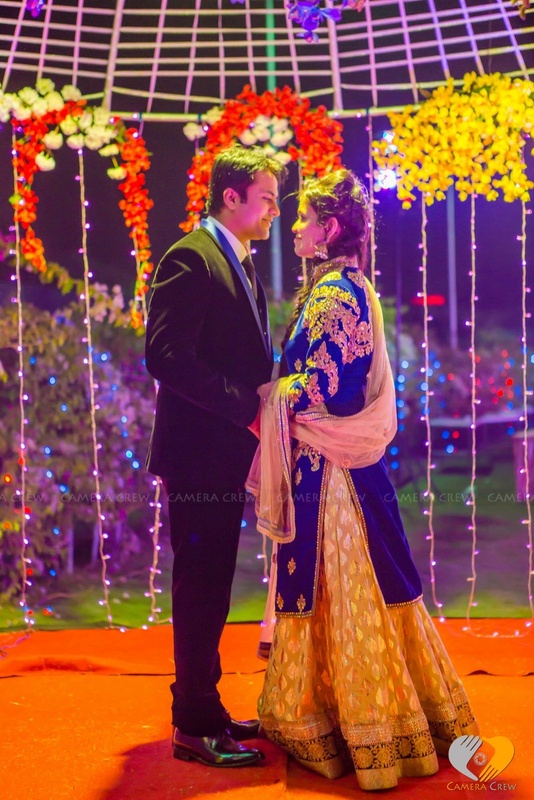 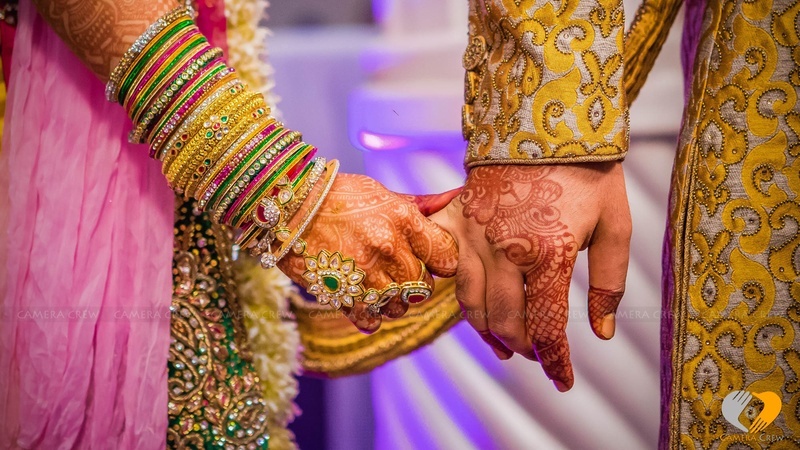 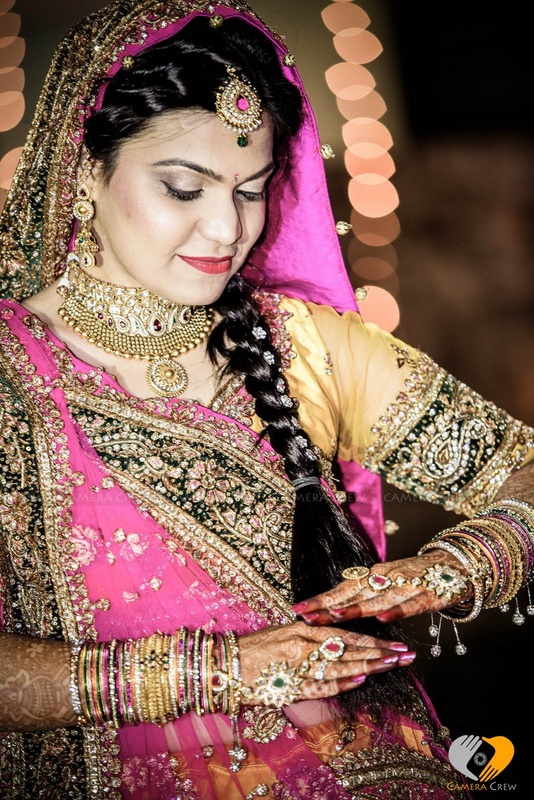 All things colourful, bright and traditional was Pooja and Abhijeet’s wedding ceremony - Held inside an intimate banquet hall, their wedding was filled with happiness in every ritual and tradition that was practiced. 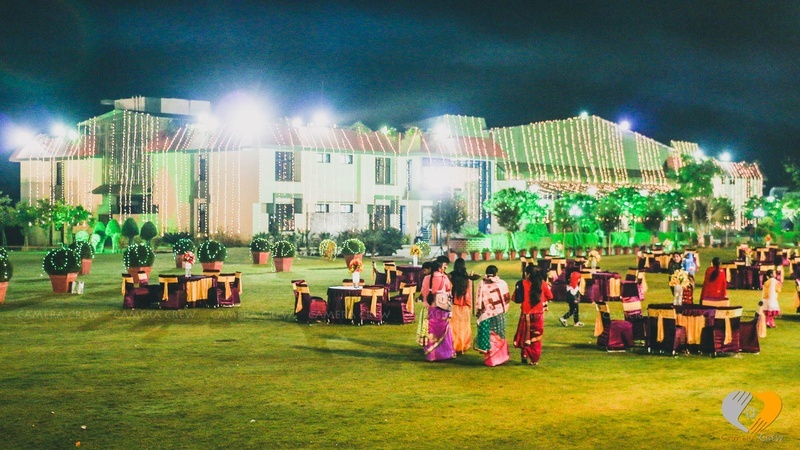 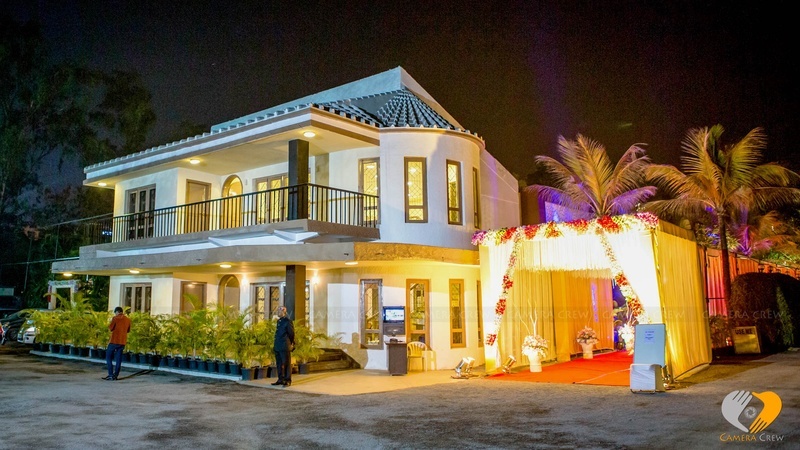 Situated behind a quaint bungalow, was the gorgeous wedding lawn that was decorated entirely with shimmering lights all around. 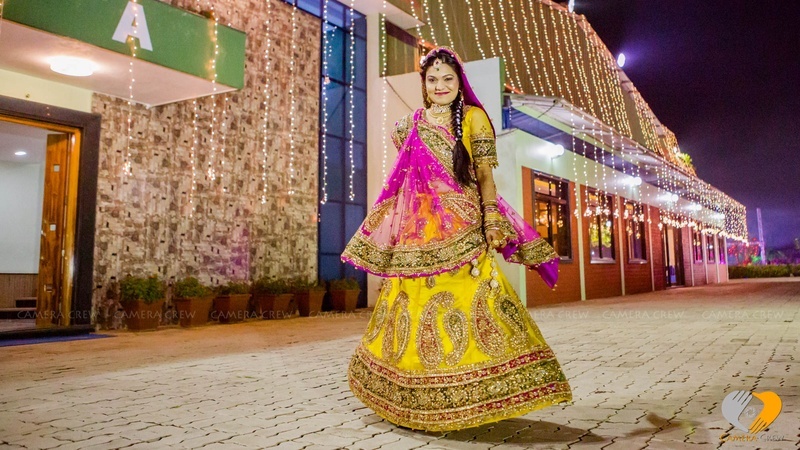 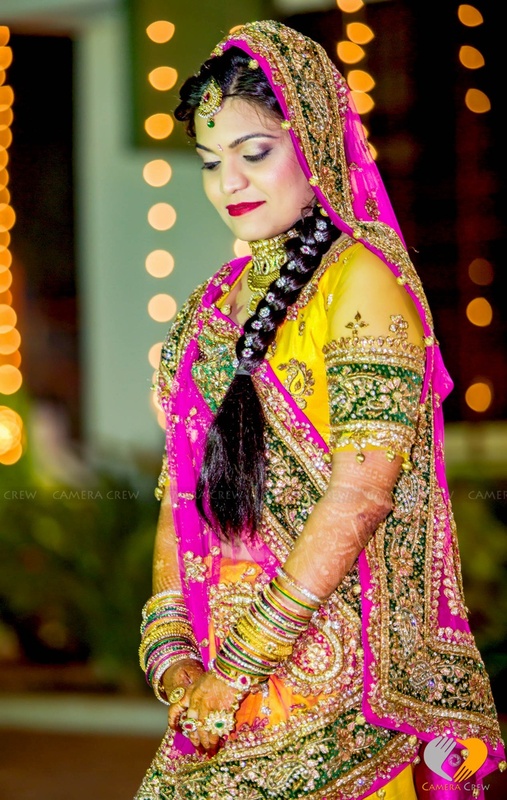 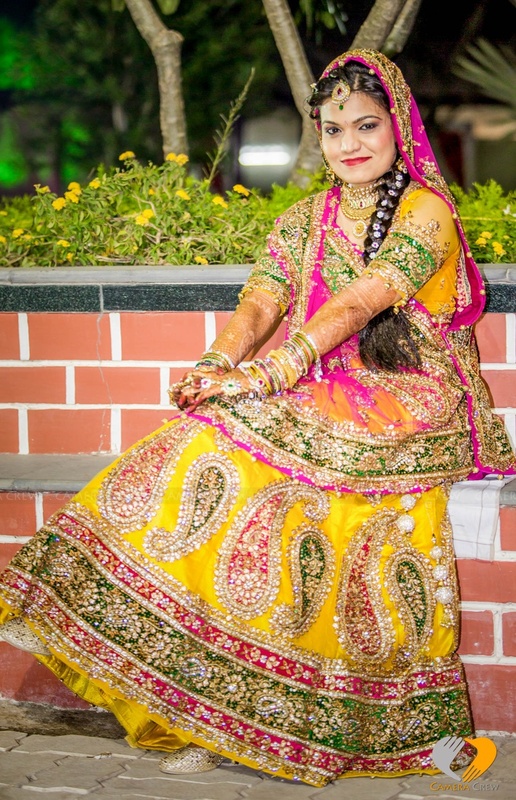 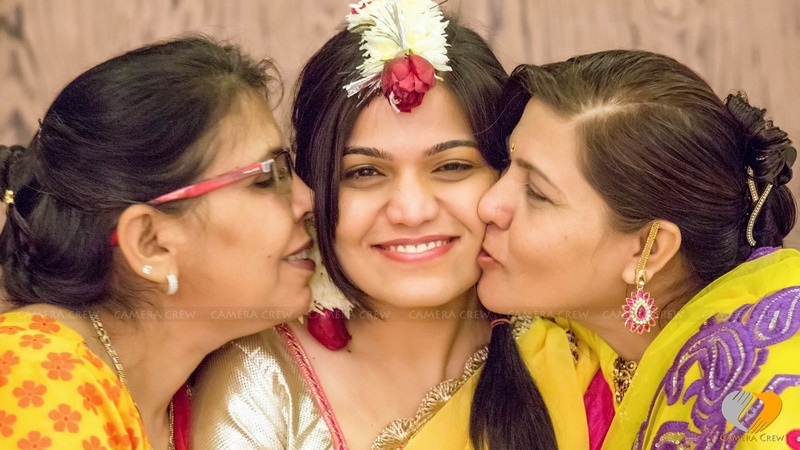 Pooja donned a yellow and pink paisley patterned lehenga and looked absolutely ravishing, and to add to her ethnic bridal look, she also wore a match-to-outfit maang tika and a haathphool. 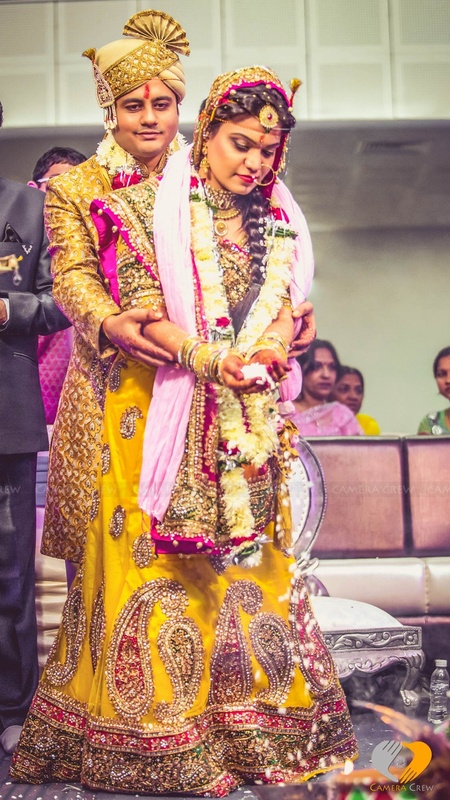 Abhijeet looked really handsome in a traditional gold shervani with an attractive safa on, complimenting Pooja’s look perfectly. 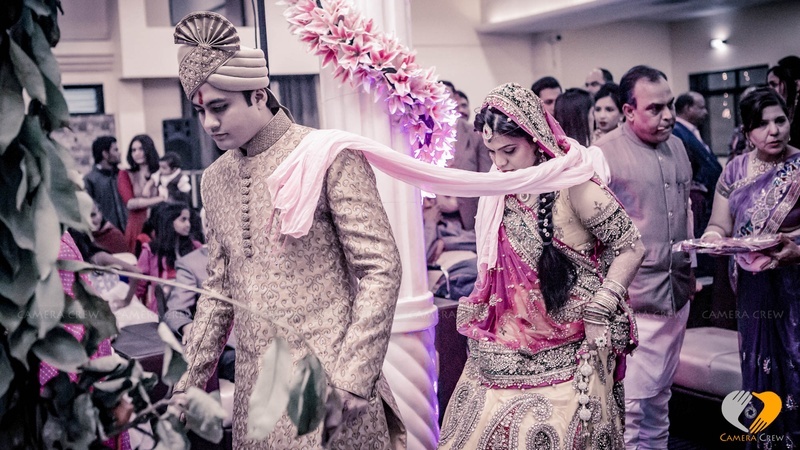 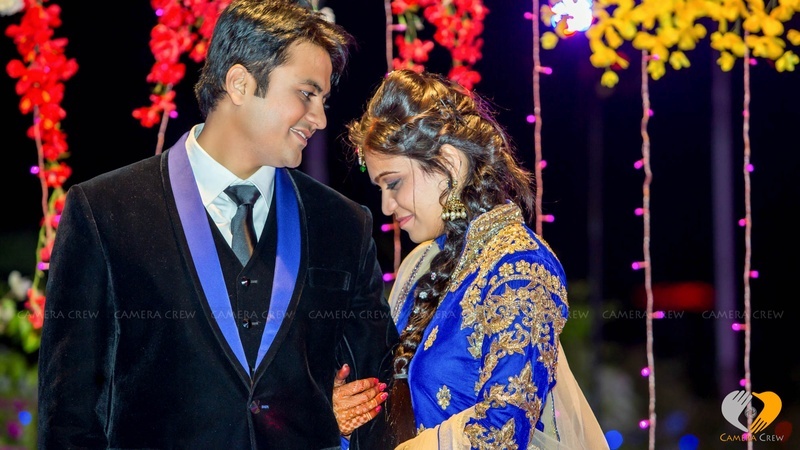 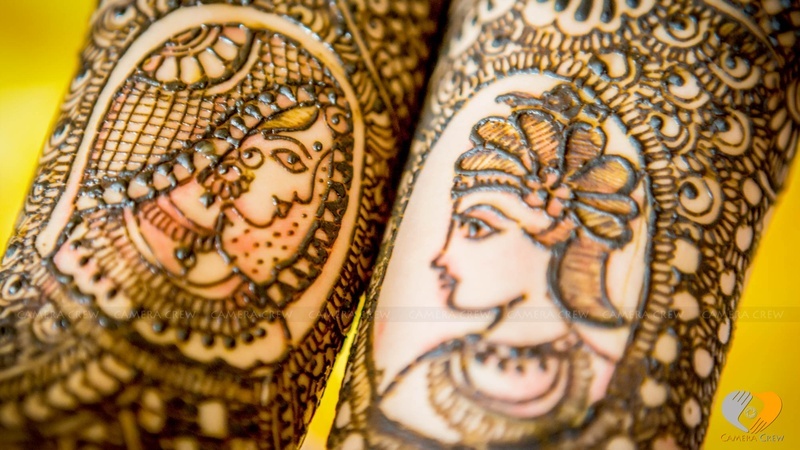 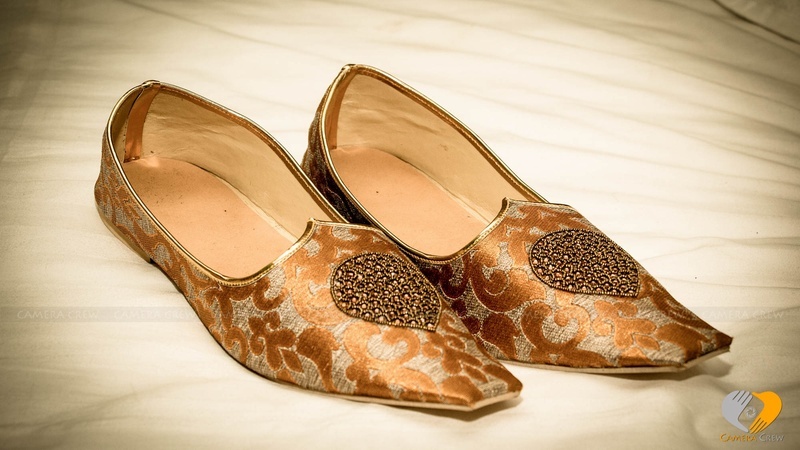 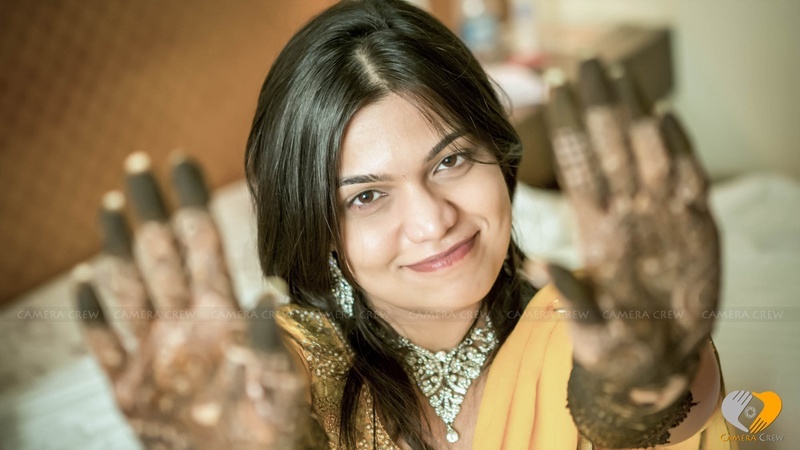 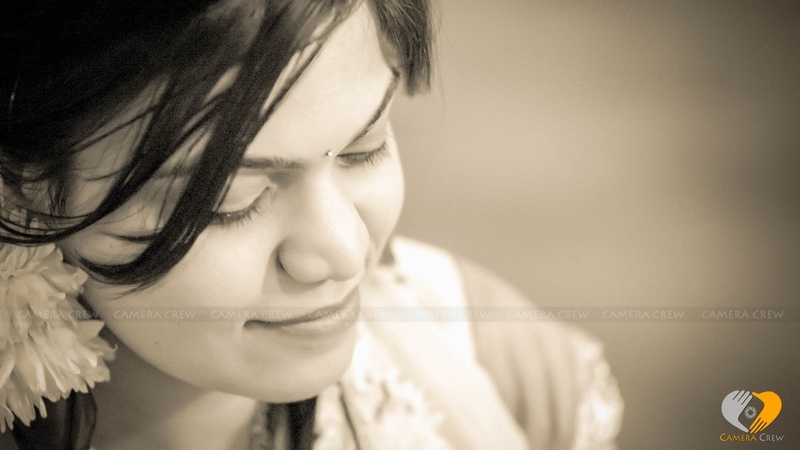 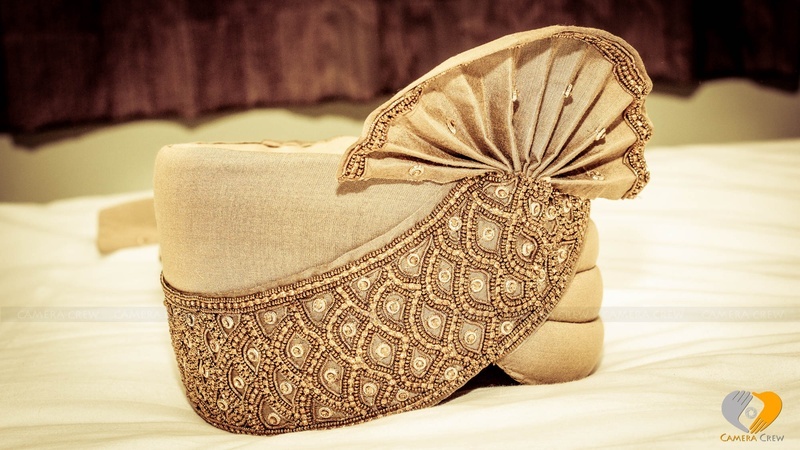 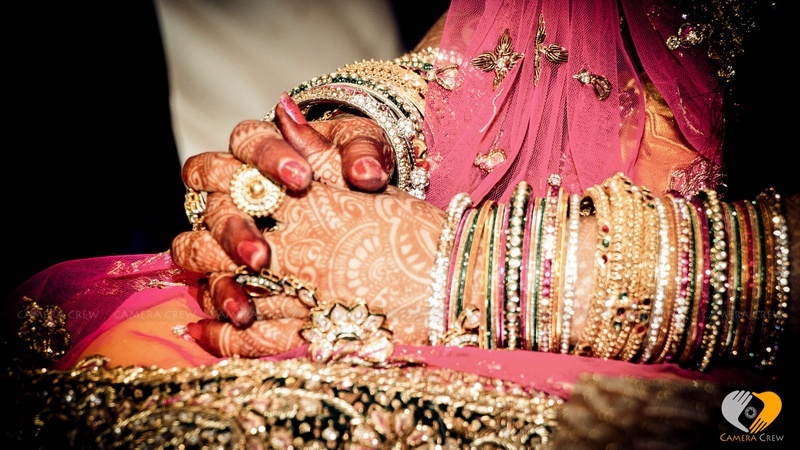 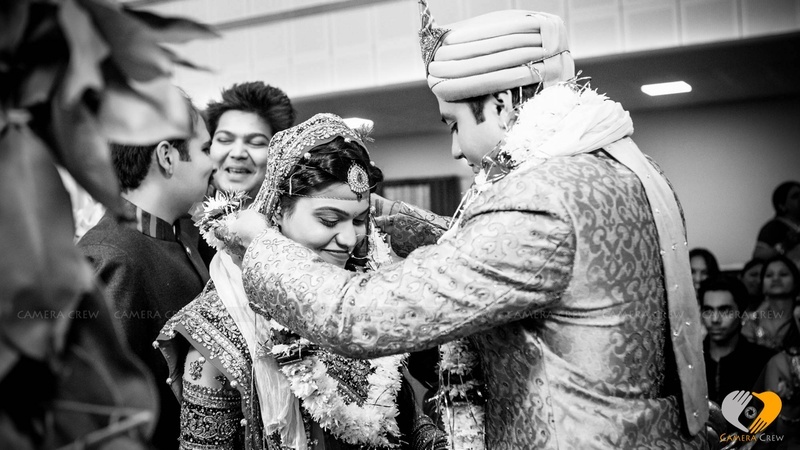 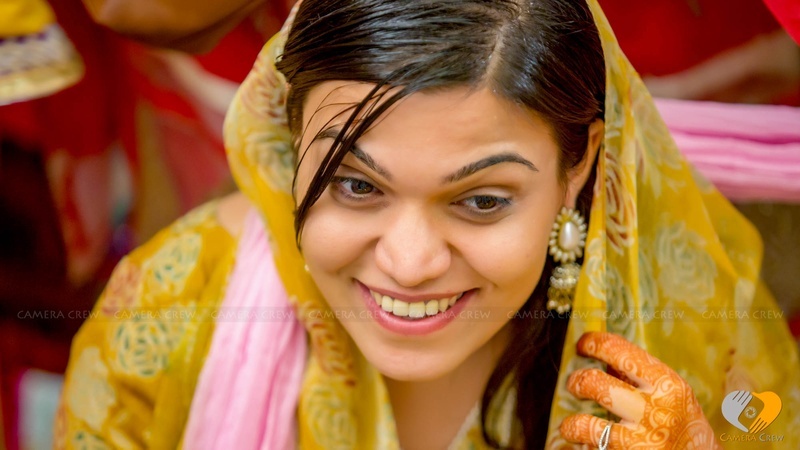 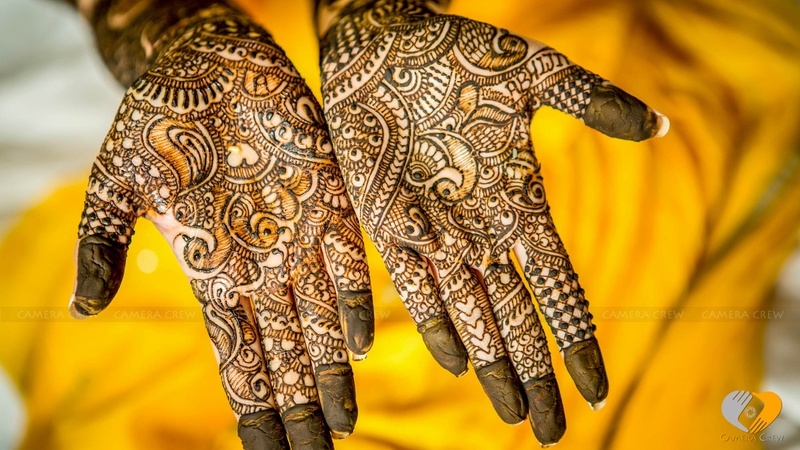 With impressions of king and queen on her hands, the bridal mehendi design enhanced Pooja's traditional look. 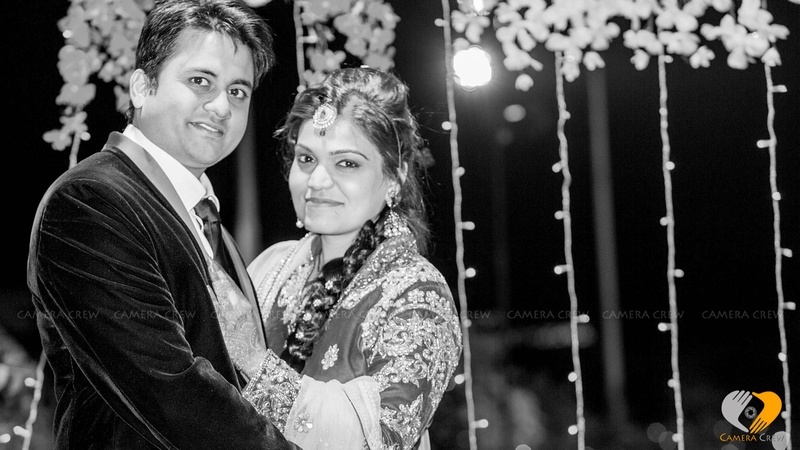 Their wedding was shot by Rajesh from Camera Crew who did an excellent job behind the view finder, capturing every emotion of the radiant couple in all its glory. 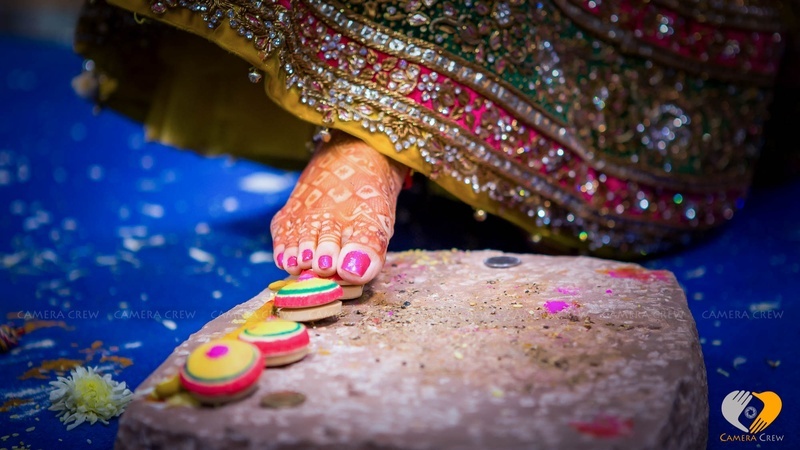 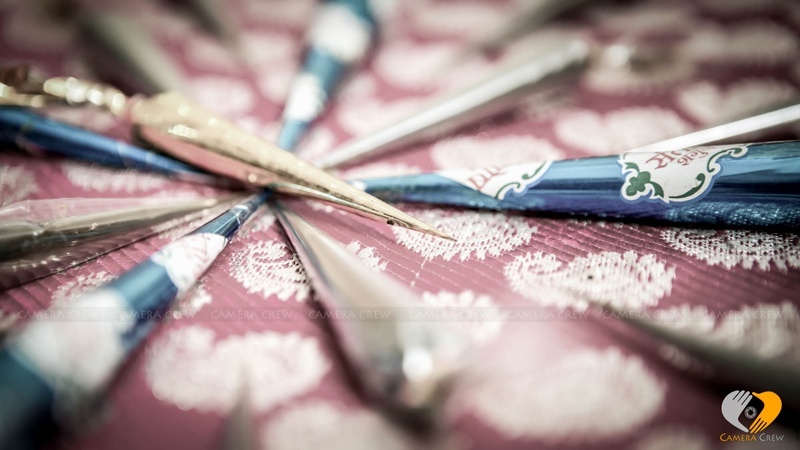 Let’s visit their colourful and traditional wedding day through their album.